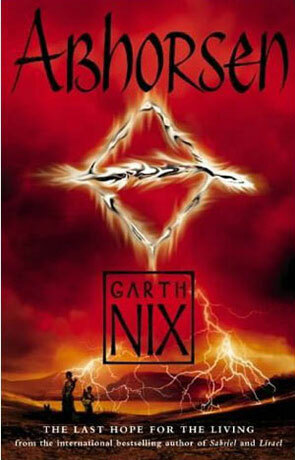 Abhorsen is a young adult fantast novel by Garth Nix and is the third volume in the Old Kingdom Series, following on from the events in Sabriel and Lirael. Prince Sameth and the Abhorsen in waiting Lirael are contemplating their next move at the Abhorsens house in the old Kingdom. Surrounded on all sides by the Dead which are being lead by Chlorr of the Mask, a greater Dead working for the evil necromancer Hedge. Hedge's ultimate aim is the ressurection of Orannis the destroyer, he will stop at nothing to achieve his goal. Sameth and Lirael are not alone however, they have the assistance of two wielders of powerful free magic in the shape of Mogget and the Disreputable Dog. Nix brings together complex worlds and rich, multidimensional characters along with a fast, raw and exciting pace to deliver a thrilling series and an incredible novel with Abhorsen.